Tropical Hawaiian flowers can now be enjoyed anywhere! Available for any season, tropical flowers make unique gifts for graduations, holidays, anniversaries, parties, and business clients. For questions about shipping, see our ORDERING PAGE. 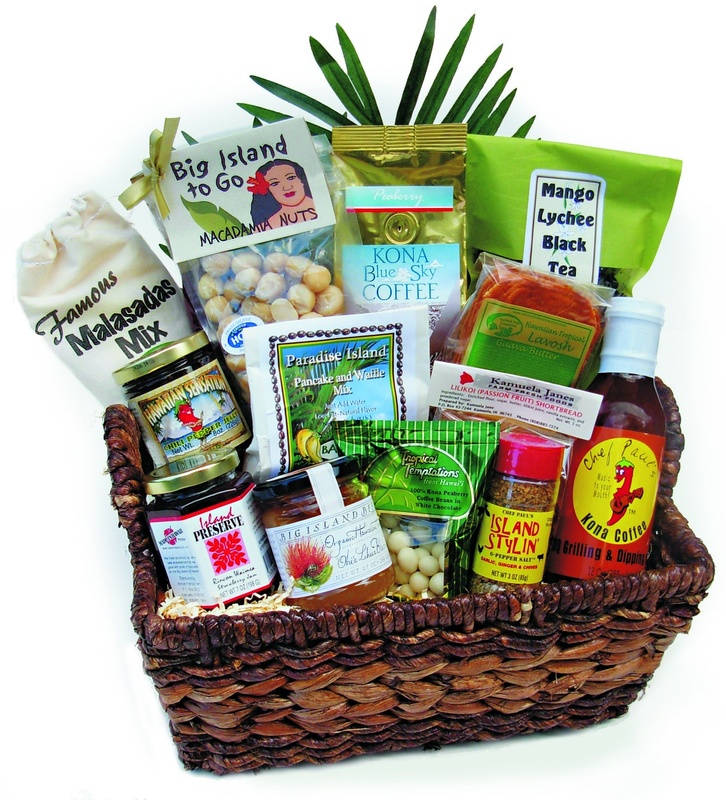 A sampling of the finest "local" treats in a lauhala basket.